15 June 2016 – London, UK and Boston, US – Alternative metrics provider Altmetric today announces the addition of Scopus citation counts to the Altmetric Explorer for Publishers and Institutions platforms, enabling users to view the academic impact of over five million research outputs alongside the online attention they have received from a broader audience. 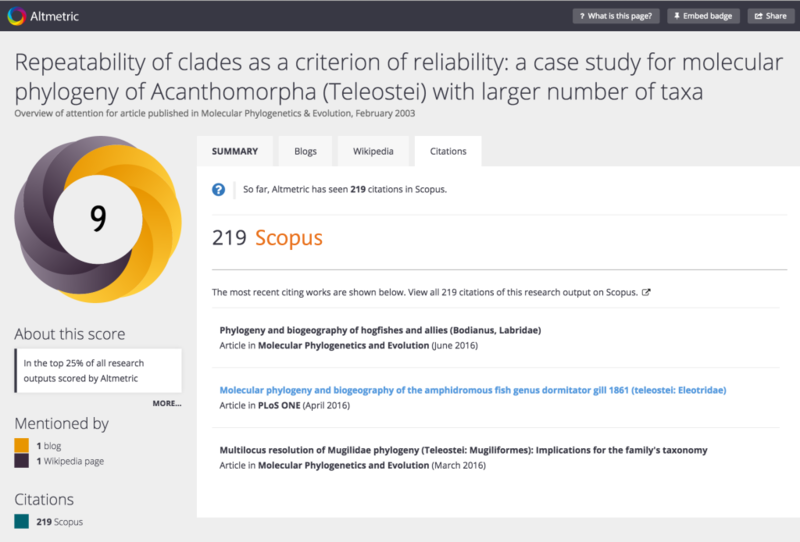 This new functionality will allow Explorer users to view Scopus citation counts for each item Altmetric has tracked, alongside mentions from policy documents, social networks, Wikipedia and other online media outlets and forums. Accessible via a new tab on the Altmetric details page when accessed from within the Explorer, users will be able to view the three most recent citing references found in Scopus along with a direct link to the Scopus database. Scopus is the largest abstract and citation database of peer-reviewed literature and features tools to track, analyze and visualize scholarly research. Its comprehensive database contains 62+ million items indexed from 21,500 titles from more than 5,000 publishers worldwide, ensuring broad interdisciplinary coverage in the fields of science, technology, medicine, social sciences and arts and humanities. Scopus is part of the Elsevier Research Intelligence portfolio which includes the SciVal tools, the Pure system, rich data assets and custom Analytical Services.